Chicago woke up Saturday to clear skies, but temperatures will likely take a dive later in the day. An overnight frost advisory expired at 9 a.m., but now we can look forward to a freeze warning beginning at 11 p.m. until 9 a.m. Sunday. 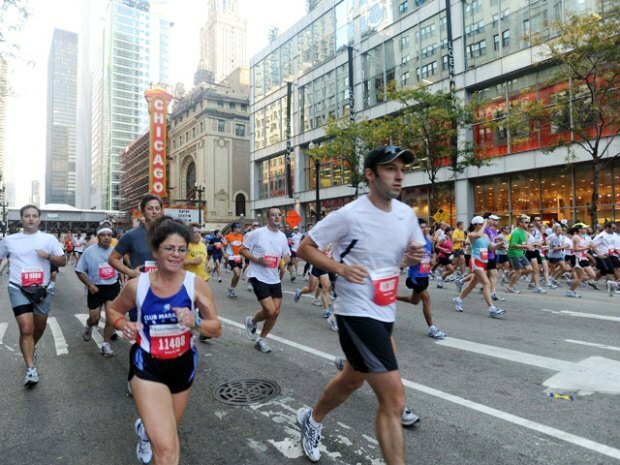 That means thousands of runners are keeping their eyes on the forecast heading into the big Bank of America Chicago Marathon. At the start of the race, which begins at 7:30 a.m. Sunday, winds will likely be out of the west at about 10 MPH with temps near in the 30s. Lake Michigan, with its water temperatures still in the 60s, will offer some respite, and sunshine should increase the air temperature into the 50s by midday Sunday. With cold temps expected for the start of Sunday's marathon, plenty of people are out buying more gear with plans to toss it.